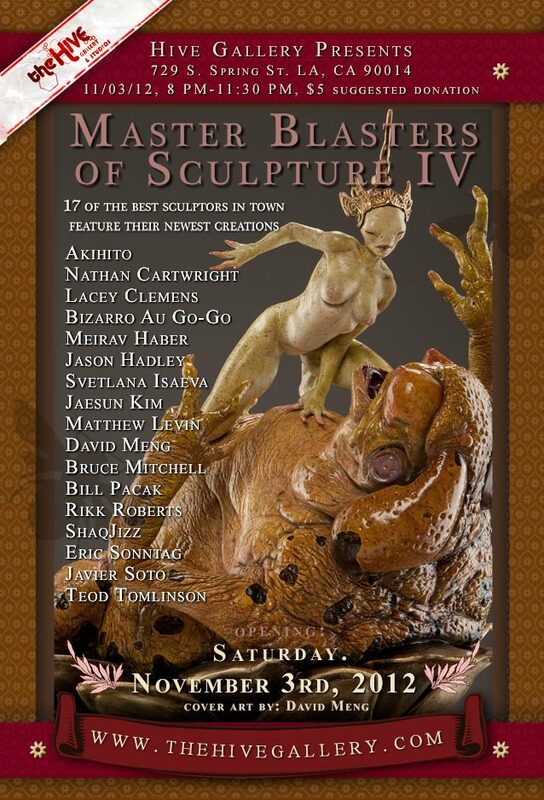 Once again The Hive Gallery in downtown LA is holding it's fourth annual sculpture show. I managed to finish a new piece in just the nick of time for them. Check it out if you are in LA. OPENING: November 3rd, 8-11:30PM FREE Show Runs: November 3rd-December 1st Guaranteed to be a heck of a show with some amazing sculptures! Thanks to my friend Thomas Kuebler, I've been invited to participate in a HUGE fantastic art collection at the Allentown Art Museum. I'm so thrilled and honored to be a part of this AMAZING collection of art from 1860 to the present. Many legendary works of art will be in this 175 piece collection. Art from H.R. 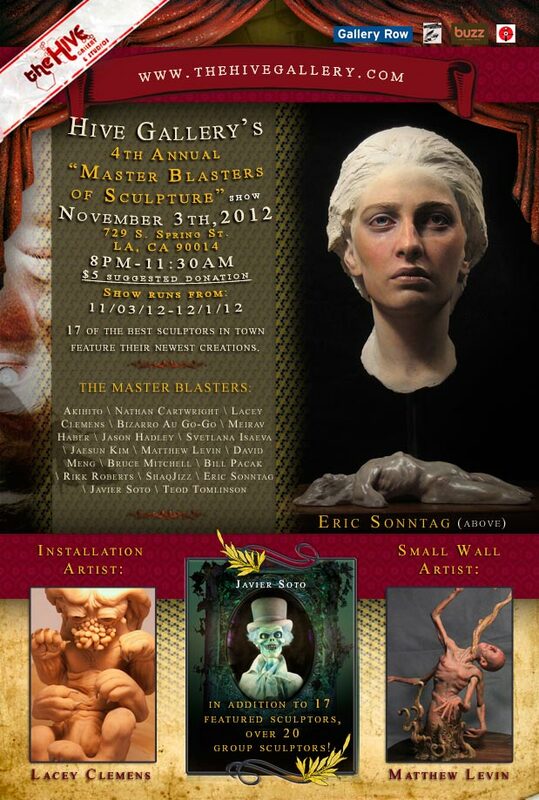 Giger, Frank Frazetta, Hildebrant brothers, will be on display just to name a few... I still can't believe that my work will be among such big names in the art field! Click here for more info. Copro Nason Gallery in Santa Monica CA, from January 21st to February 11. Check out the flier for artists and opening times. I am thrilled to be a part of this show! Gallery show in January at the Copro Gallery! Conjoined - In 3D! presents classic sculptures, Life like models, Surreal assemblages, mixed media paintings, life sized toys and other conjoined works in 3-D. Curated by Chet Zar this show will include many artists of Pop-Surrealism as well as motion picture industry special effects and well known Art Toy artists. 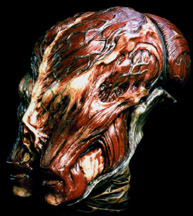 From the twisted and bizzare to the majestic and unbeleivable there will be many unusual works and all in 3D!